I enjoyed the fairly obscure tracks on this album. 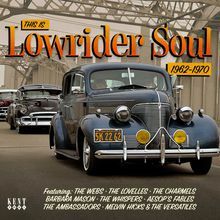 BUT... it is not what would generally be associated with "Lowriders", or "Soul" genres. Obscure stuff, very well "cleaned up" audio, however.